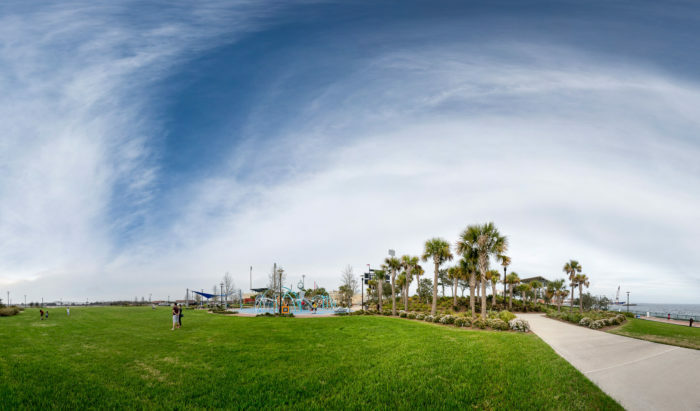 Jerry Pate Design provided landscape architecture and site planning. 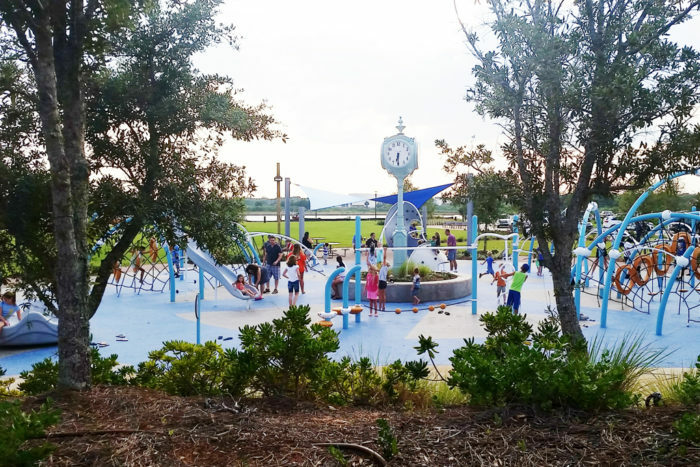 Playground site planning incorporated access to ballpark, amphitheater and park. 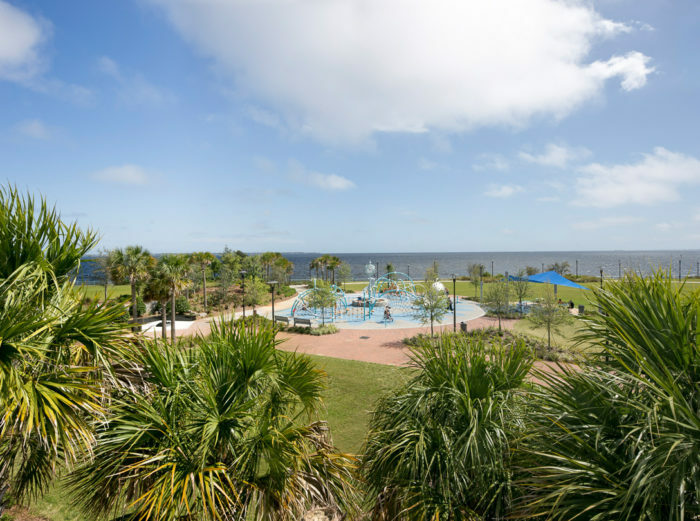 Future master plan includes water park and playground for smaller children. 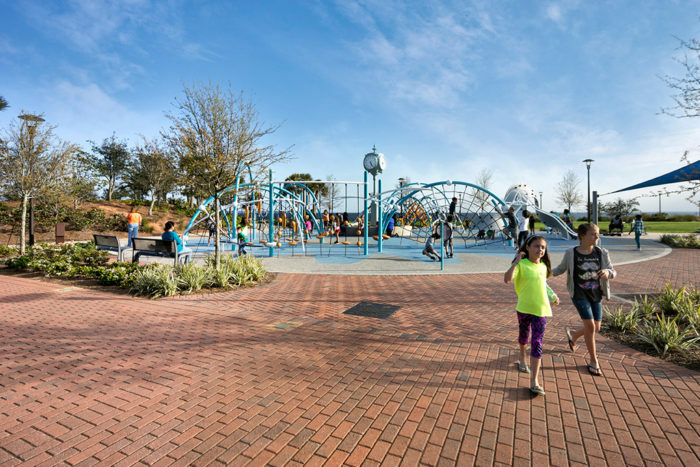 Innovated playground facility is displayed as public art and was conceived to help activate passive park. 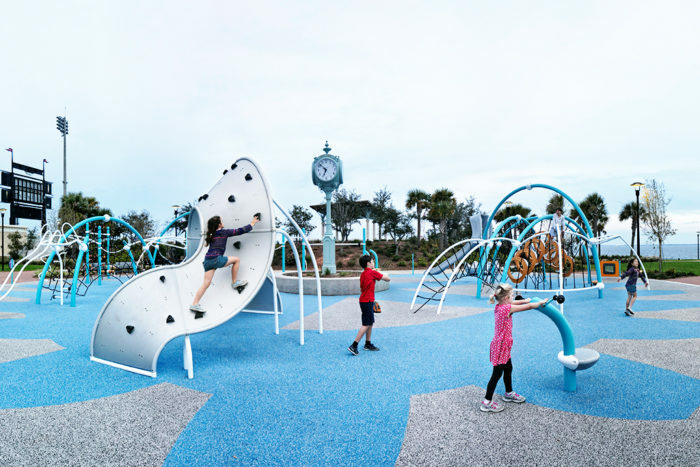 Playground designed as universally accessible and to encourage imaginative play.